After many years of waiting and researching and many questions answered by many of the people here - thank you all! 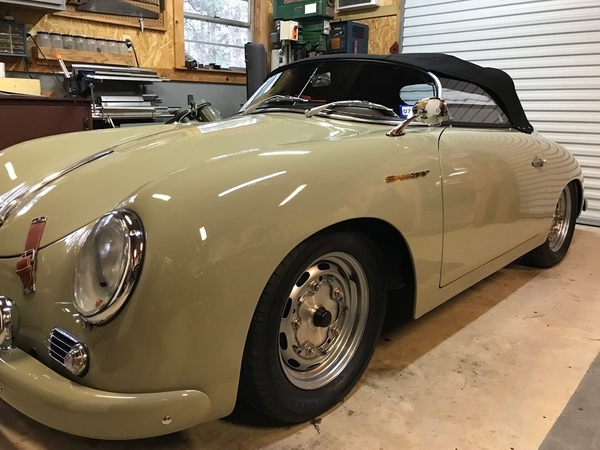 I’m moving forward with my speedster build. Greg / Vintage Motorcars will build the car and I’ve decided to have Pat Downs build the motor, will cost a little more, but I think we’ll worth the investment. I’ve sent Pat a deposit this afternoon so I’m officially in the que for my build which should be done late Feb / early March. He’s recommended a 2017cc motor with A1 sidewinder exhaust producing 140hp. Next is to fly down and meet with Greg to go over the build specifications. Some must haves - heated seats, beehive taillights, oil cooler....like-to-haves- leather, louvered deck lid, under-dash E-brake. Its starting to add up close to $40K so may need to manage some of the expenses. My biggest challenge- exterior color! 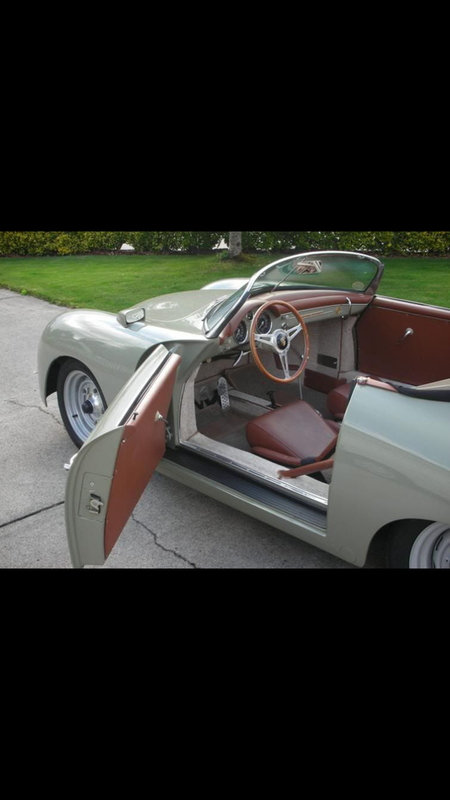 I definitely want to go with dark brown - tabacco color interior. 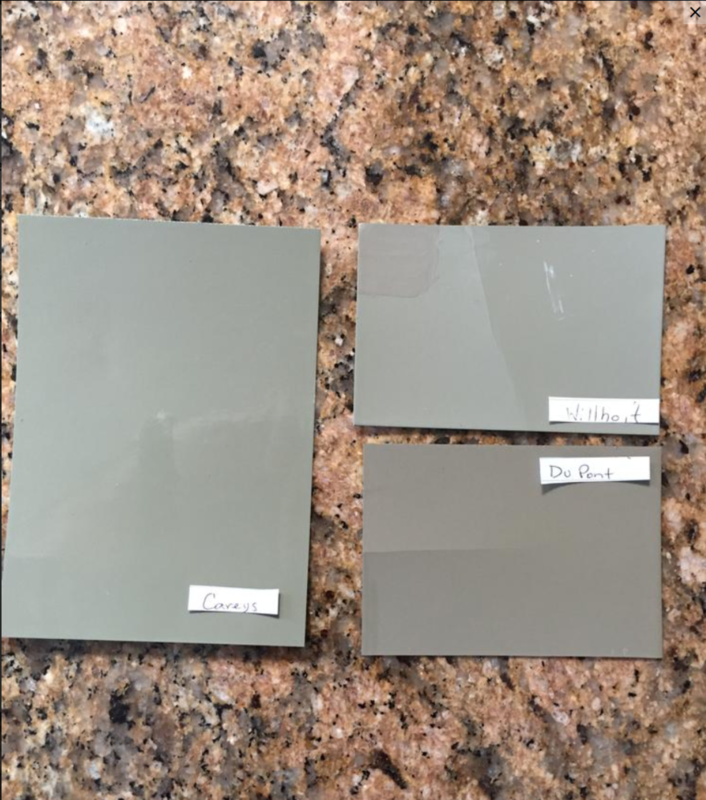 Thinking either Slate Grey, Stone Grey or Seal Grey exterior. Tough decision- not sure how I’ll make it but need to decide. Anyway - just wanted to share. I’m excited to finally be moving forward! Congrats, Blake, on your decision to build. Attached is stone grey on my coupe. Thanks Jim. That’s a great color! I’ve learned there are a couple variations on Stone Grey - yours looks more grey than green, which I prefer. I’ve had this picture (attached) for a while and really like the color combo. To help my color decision I’m leaning toward a period correct color for my car - which would be Stone Grey. 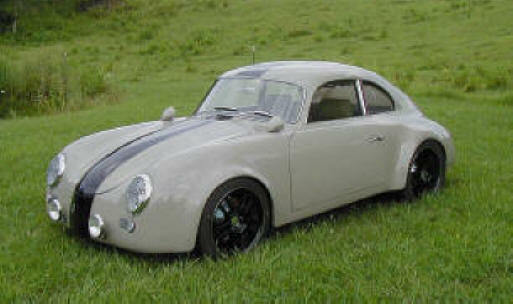 Although I also like Slate Grey.....and do the debate continues - in my mind! Blake, congrats on taking the plunge. I think you've made some good decisions on builders. I'm curious why Pat Downs recommended the engine size he did. He told me exactly the same thing when I was having an engine built, although I know he's built a ton of 2110's for other Speedster owners. I was planning on a 2110, but he said, for where I live in California's hot central valley, something a little smaller (which produces a bit less heat) was a better choice. While I ended up using another engine builder, I did stick with a 2024cc - same 90.5 bore as a 2110, but slightly shorter stroke - 78.8 vs. 82. Just curious if this is the same reasoning Pat discussed with you, or if there were other factors. I opted for a vinyl interior on my VS, by the way, and am very glad I did. A higher quality vinyl is very hard to tell from leather, but is much easier to care for, especially in a car that's open to the weather. After five years and 25,000 miles, seats, dash, and door cards still look new and clean up with soap and a damp sponge. Thank Mitch- with respect to engine size, I told Pat my main priority in a motor was reliability with power being a very close second. 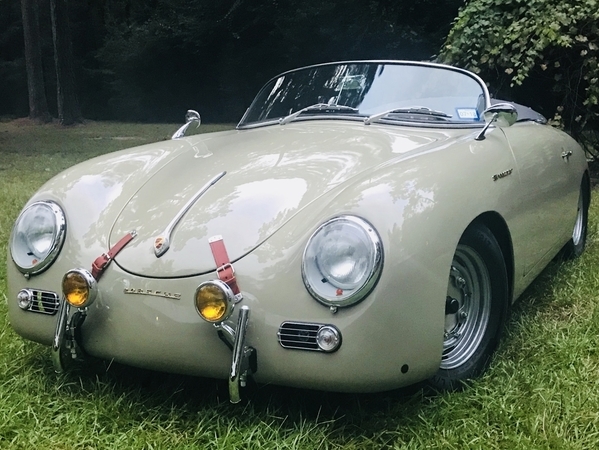 I explained I live in a fairly hilly area and it certainly gets warm out here (I live in the East Bay) not as hot as Sacramento but still in the high 80’s and occasionally triple digits- although unlikely I’d drive the speedster when it’s that hot. He said the most reliable motor he’s ever build that also has great power for the speedster is the 2017cc. With the sidewinder exhaust and powder coating a couple parts it’s going to be about $7,500-$8,000 so I decided I didn’t want to go any bigger bcs that would mean significantly more cost. It’s almost twice the cost to go with a motor build by Pat versus the standard 1915cc motor Greg offers - which I understand is still a very good, reliable motor with all new components and many of them CB parts. But just like choosing Greg to build the car because I believe he’s the best choice for quality (short of Intermeccanica at double the cost) I also think Pat is the best choice for engine builder. So combining the two best in their respective “disciplines” I think should create a great car. I appreciate the vinyl endorsement. The leather upgrade will add $1,900 and although I’d like to go for it - it’s a pretty costly add on so I’m going to seriously consider the vinyl option but want to see the two choices side by side to make the call. Congrats on starting your car build. Enjoy the journey. I hope it all goes smooth for you. Thanks Jimmy - if research time I’ve spent has any positive impact it should all turn out great. But who knows - time will tell. Im very optimistic. Ditto on vinyl. I thought the car I was buying had leather when I first sat in it but I was quickly corrected and was told it was vinyl. The vinyl quality is just that good. Good choice going with Greg. You can't go wrong and a doubly good choice going with Pat. before he paints the car have him spray a sample on something so u can see it in person for approval,there are alot of say stone greys,or guy mixing the paint might be having an off day, just saying. You can get correct paint sample cards from Wilhoit for $35/each. I just ordered several for my upcoming Beck Super Coupe build. Congrats @Blake! I had my car built by Special Edition in 2016 (build) and went with Stone Grey and yes there are a few variations. As you can see from the pictures they all look a bit different and depending on lighting. Joe's car is stunning in the flesh. Visit a few car dealers on a Sunday always better to see a color on a car. But Alan also brings up a very good point - For free, you can visit some local car dealers and find a color there on the lot that you like. 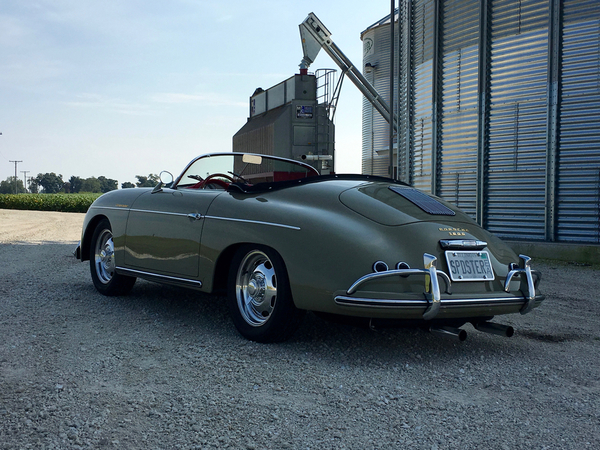 It doesn't have to be a pure "Porsche" color, just a color that you like. Then, you'll have a modern paint code and can easily get water-borne paint (if that's what Greg's paint guy is using). You'll also be able to walk around the car and see how the sunlight or parking lot lights will affect it. My pearl white assumes different hues as you move around it and mercury-vapor parking lots lights make it glow slightly pink/orange. I also found that in the Glasurit catalog back in 1998, there were about 43 different shades of "Pearl White" ranging from blue and gray hues (Chrysler) to blue/pink (Audi/VW) to gold (Cadillac), depending on the choice of different car manufacturers. Grays are probably plentiful, too. I was spelling my name :~) ……. "Allanté"
"Visit a few car dealers on a Sunday always better to see a color on a car." All you'll see on a lot nowadays are 5 shades of metallic gray. The car in the picture that you posted as your inspiration was owned by a guy named Scott Sloan. I know that because it is one of my favorite examples. I used it as my inspiration when I built my car. 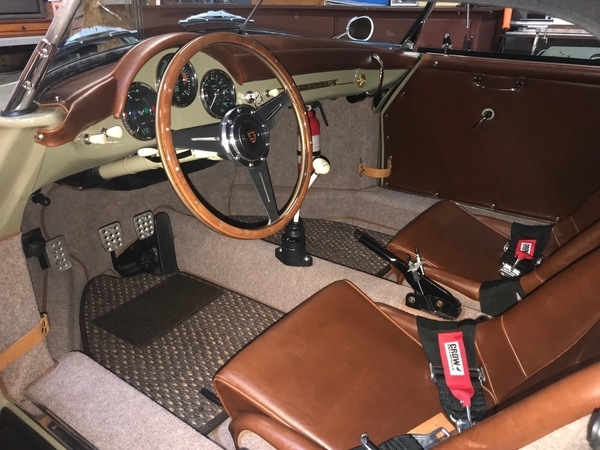 Porsche 5710 Stone Grey exterior with dark brown leather interior. Also Joe @Joe Fortino has a beautiful stone grey car. If I were doing it all over, I may choose the red interior like Joe's car. Here is my car. Just a home built CMC. The color looks very different in different light! My toughest sell on the color will be my wife- she likes Slate Grey. I'm pretty torn between the two colors- but very set on the dark brown interior. Gordon's example of the multitude of different "pearl whites" hits the nail on the head- every car manufacturer's colors are just a little different than everyone else's. There's no "standard" colors- even different paint manufacturers' primary colors (red, blue, yellow) are not exactly the same, so when you start mixing to get secondary colors (purples, greens and oranges, and then using black and/or white to soften or darken), so you can understand why no "off the shelf" mixes ever match exactly. Yes, Gordon, greys are very plentiful! And Porsche's stone grey is great example of a color that is hard to get spot on in all different lights, being a complex color (I'm guessing several different tints or toners) with different undertones, so depending on the brand of paint (and toners, which again are not the same from brand to brand) you mix it with makes it look different under varying conditions. Kathy and I are constantly spotting cars out on the road and saying “THERE’s a nice color” and I instantly asses whether it would look good on a Speedster. Toyota has a few terrific grays, Cadillac has an interesting pearl white and while there are a LOT of reds out there, not all of them have depth - some look 1/4” deep (older GMs), others look like a foot (Toyota). Four coats and a tailgate respray later, we get all done and sitting in the paint booth it just looks Black - Real black. Even moving it to the curing booth it still looked black, but once it was all put back together and sat under parking lot lights at night, it had this eerie red glow that really caught your attention. You can have a lot of fun playing wih paint. and I instantly asses whether it would look good ......….HUH ? I had my first IM with a dark brown with a metallic that looked black at times and had a tinge of red.. nice colour. I nearly redid it . If you want to see it the car is still on the IM sold site. Really nice car Joe. Those wheels really pop. Coddington’s I would guess? 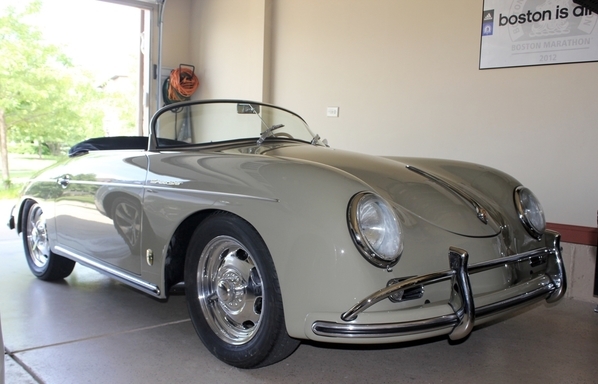 My speedster became 1967 VW Sahara Beige and when cleaned up it looks ok. My favourite colours now are the Stone Grey types like Joe has such a good example of. I'm not really keen on my Burgundy colour on my roadster right now and if I ever got it repainted, I'd be heading in the Beige / Stone type direction. The natural tones are really nice. I completely agree with Mitch. I can't tell the difference from leather unless I pull up the seat cushion and check the underside of the material. The vinyl that you are looking for is called Allante and you can read more about it at this link. Yeah, leather vs. vinyl. I like the feel of leather better. I don't sweat as much or stick to it as I do on vinyl. However, leather needs much more care than vinyl. Leather cracks and fades if not kept conditioned. Lighter colors can stain. Water leaked onto my passenger seat and left a noticeable stain. I recently had to re-dye my seats to cover the cracks and fading.